Hey, first of all, how are you ? How are the reactions towards the new album ? We are doing alright at the moment on this rotten doomed planet. And so far almost all of the reviews/reactions to the new album are exceptionally good. We have no reasons to complain. What was the reason for the split in 1997 ? And what was there a special reason for the reunion ? In the meantime some members of INQUISTOR founded CENTURIAN, so can you tell us who exactly started with INQUSITOR, who was in CENTURIAN (they were called NOX for a while I think) and who is now in the band ? Splitting up is almost never a great thing to happen but in the end it is often inevitable, and in our case, the reasons don't matter anymore 'cause we're back together. 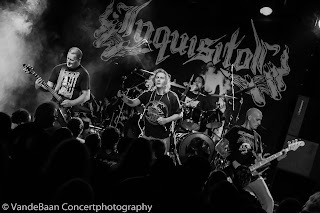 In 1996, INQUISITOR slowly fell apart, however, Wim continued INQUISITOR with Rob Oorthuis on guitar but the sound changed and due to this, a new band emerged out of this which became CENTURIAN. Wim van der Valk was the only former member of INQUISITOR in CENTURIAN. CENTURIAN existed from 1997 until 2002 and reformed without Wim van der Valk in 2011 till 2015. After CENTURIAN ceased to exist in 2002, NOX was formed which was more or less a band/project with ex-member(s) of CENTURIAN. The current line-up of INQUISITOR is the original line-up which also appears on the early Demo's and has the following members: Alex Wesdijk – Vocals, Erik Sprooten – Guitars, Alex Bakker – Bass, Wim van der Valk – Drums. This line-up started INQUISITOR. The re-releases of both "Walpurgis - Sabbath of Lust" (our 1st album) and "The Demos" by Hammerheart Records played an significant role in bringing the original line-up back together. Hammerheart Records contacted me already in 2012 if I was interested in re-releasing "Walpurgis - Sabbath Of Lust". And of course I was interested in our first album being re-released. It took a while to get back in contact with Wim, but since we reconnected, the interest of playing together again kind of emerged naturally. In the end, INQUISITOR reunited only just a few months prior to the re-release in 2014. Can you tell us more about future plans for playing live ? I'm not really sure, but did you play a gig in Cologne Live Music Hall 20 years ago together with ANCIENT RITES, BEWITCHED, ENTHRONED, DARK FUNERAL and SACRAMENTUM ? I visited this gig , and remember that one or two announced bands did not play and were replaced by others…maybe INQUISITOR were regular on the billing or they maybe replaced another band ? I know, long time ago…Google said, it was 1996, but i am not really sure about the bands (BUT ANCIENT RITES for sure..). We have a few interesting gigs planned in The Netherlands of which three will be as support act for PESTILENCE on their new album release shows. We would certainly love to return to German soil and of course other European territories as well. I hope that the new album will gain peoples interest to book us for gigs. Check our facebok page to keep yourself updated. Yes, it was 1996, but INQUISITOR did not play at that particular gig in Cologne but I was there on tour playing with ANCIENT RITES as session guitar player. I did most of the gigs on that tour but I had to do a great open air gig in Heidenburg, Germany with INQUISITOR about 10 days later, so I couldn't finish the tour. But Mike from PENTACLE finished the last few dates on that tour with ANCIENT RITES. And as I remember now again, DARK FUNERAL was supposed to be scheduled on this tour but I don't remember why they were not on this tour, but BEWITCHED, ENTHRONED and SACRAMENTUM were certainly the support acts. And I'd like to add, that it was a really great tour! All bands on that tour were getting along very fine and I remember the great positive vibe on the tour bus, which is not always the case with other bands on tour. Could you explain, why there are so many excellent bands from The Netherlands concerning extreme metal ,I think besides INQUISITOR and CENTURIAN / NOX to bands such as SINISTER, ASPHYX, SOULBURN, HAIL OF BULLETS, GRAND SUPREME BLOOD COURT, ALTAR, DEINONYCHUS, THANATOS, DEAD HEAD, BEYOND BELIEF, HERETIC, URFAUST, LUGUBRE, GOD DETHRONED, SEVERE TORTURE, MANGLED, PROSTITUTE DISFIGUREMENT, BRUTUS, FLUISTERWOUD, DOOD, MASSIVE ASSAULT, OFFICIUM TRISTE, FUNERAL WHORE. To be honest, the maybe most prominent band I personally think is overrated, I think to PESTILENCE, never understood why exactly this band is so well-known and prominent. 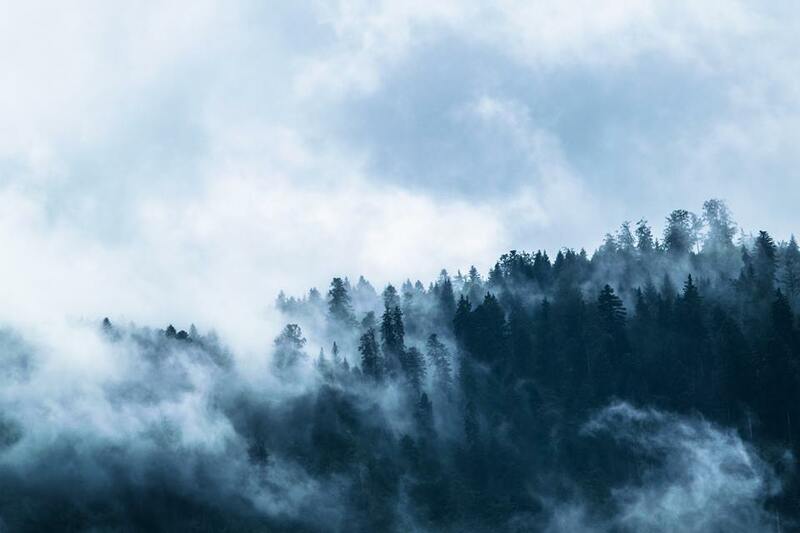 Did you hear the new album from DEINONYCHUS, which is really great I think ? And do you have some secret tips concerning good, but unknown bands from the Netherlands ? We Dutchies are great aren't we? (Hahaha) Well, there's no special explanation about why we have a lot of great extreme metal bands in The Netherlands. I guess it's simply down to having a healthy scene with enough metal musicians who are determined to make great extreme metal. On our 7” “I am Sick, I must Die” you can hear our version of “Extreme Unction” from PESTILENCE. I don't really see PESTILENCE as overrated. They've earned their place in metal history. I like their first three albums most and those albums are great but I have to admire them for daring to be different after those albums. Staying off the beaten track and daring to be different will not always be appreciated or even understood. Their latest album (Hadeon) however is more or less a return to their older style. I haven't heard the new album of DEINONYCHUS yet and maybe I'll check it out but it may not exactly be my taste. A lesser known metal band from our country I can recommend is LUCIFERICON. They certainly have a very old school vibe. Furthermore I'd like to name HORDEARII, which are friends of mine. They are much younger then I am but are quite aggressive but sound more modern. If you like old school thrash metal, then you might like DEFAZER or DISTILLATOR. Do some people remember MANDATOR? I'm not sure if they will ever reunite but I can still recommend their 1989 album “Perfect Progeny”, which is a great Dutch Thrash Metal album. And furthermore I recommend “Swine Plague”, the latest album of our colleagues from DEAD HEAD. When the Walpurgis-Sabbath of Lust album was re-released in 2014 by Hammerheart Records, have there been a lot of people who discovered INQUISITOR for the first time, maybe 20 years old metalheads who were too young to know INQUISTOR during their first incarnation ? I had the impression, a lot of people discovered INQUISTOR and the high quality of the debut album some years after the band split up …. AT THE GATES had the same phenomena in a bigger context, they became so influential and their albums were defined as masterpieces after the band disbanded. What do you think ? It seems that “Walpurgis – Sabbath Of Lust” gets a lot more recognition nowadays then on its initial release in 1996. It's true that some younger people discovered us just recently but some people discovered us in the years after we've split up and in both cases it's a great thing. During the years, the original version of “Walpurgis – Sabbath Of Lust” has become some kind of a collector's item. And I can't really explain what factors contributed all this. In a way there may be parallels between us and AT THE GATES although on a more modest scale. For instance, nowadays “Walpurgis – Sabbath Of Lust” is sometimes praised as if it has always been a kind of important album but back in 1996 it certainly wasn't praised that way. This extreme kind of thrash metal and thrash metal in general wasn't very popular back then. Nowadays it seems that metalheads are more open to different styles of metal which is a good thing. This is an interview with a German magazine, so i want to ask ask you as Thrash Metal band what you think about the development and the current status of the German Thrash scene, your opinion about the latest albums from KREATOR, SODOM, DESTRUCTION, TANKARD ?…and do you know newer Thrash- bands from Germany such as CRIPPER or PRIPJAT ? And globally seen, do you like the latest album from SLAYER ? I don't really follow the German Thrash Scene that much, so I can't say much about it. I love all bands of The Big Teutonic 4 of German thrash metal. Without going too much into detail, I have all their early releases in my possession and those are all absolutely classic German Thrash metal albums which I like very very much and some of them did influence INQUISITOR. I'm glad that those bands are still around so that we can still enjoy them in a live situation. I don't have much of the later releases by SODOM and TANKARD but I do have most of the later releases by KREATOR and maybe two of DESTRUCTION. Although the quality of those later albums is on a high level, I wouldn't consider those albums as true classics but they are enjoyable to listen to from time to time. I also have the most recent albums of PROTECTOR, of which the latest one (Cursed And Corronated) I like very much. Of course I know HOLY MOSES and DESASTER, and furthermore I know German thrash metal bands WITCHBURNER and FINAL DEPRAVITY (which I even saw live in my hometown a few years ago). I will definitely check CRIPPER and PRIPJAT. But I'm sure there are more great thrash metal bands in Germany which I haven't heard yet. I recently bought the new album of SLAYER which is a decent album but nothing more, nothing less. My favorite albums of them will always be “Hell Awaits” and “Reign In Blood”. Maybe I'm going to see SLAYER on their Farewell tour. SLAYER has been without any doubt an influence on INQUISITOR and many more bands. Thanks for this interview. Keep metal alive! 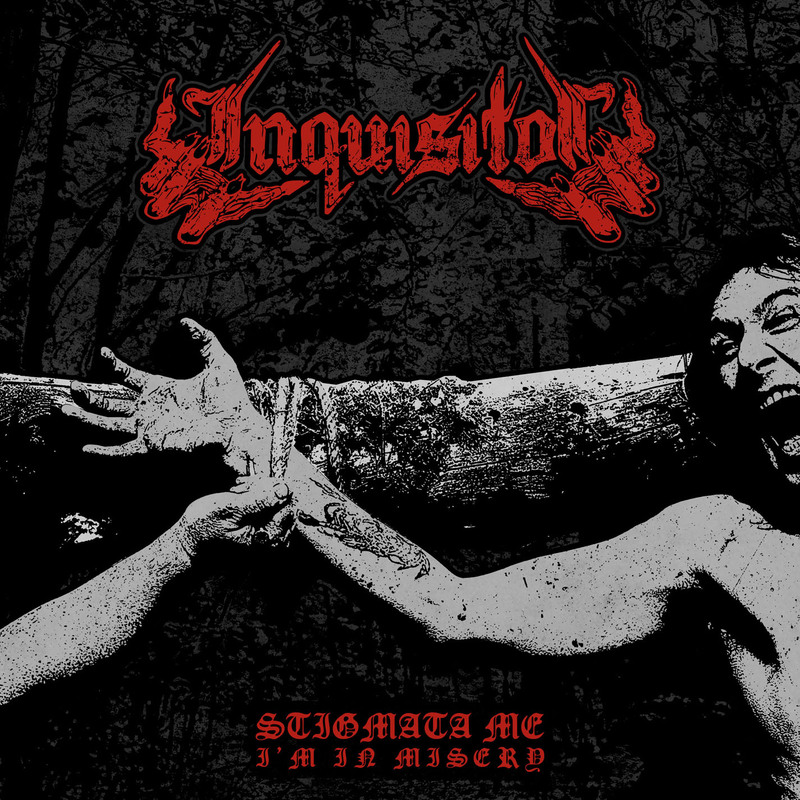 Check out our new album “Stigmata Me, I'm in Misery” which is out now. I hope to see you on German soil soon!